Homeless Studio Featured in Azure Magazine! Tasked with devising shelters for those living on the street, University of Southern California students ask themselves: what is the architect’s role in solving homelessness? When Los Angeles voters cast their ballots on November 8 (predominantly for Clinton), they also ticked off their support for a local measure: to put millions of dollars towards creating permanent housing for the city’s homeless. It’s an issue in desperate need of a solution: the city’s rate of homelessness rose 11 per cent in the last year alone. 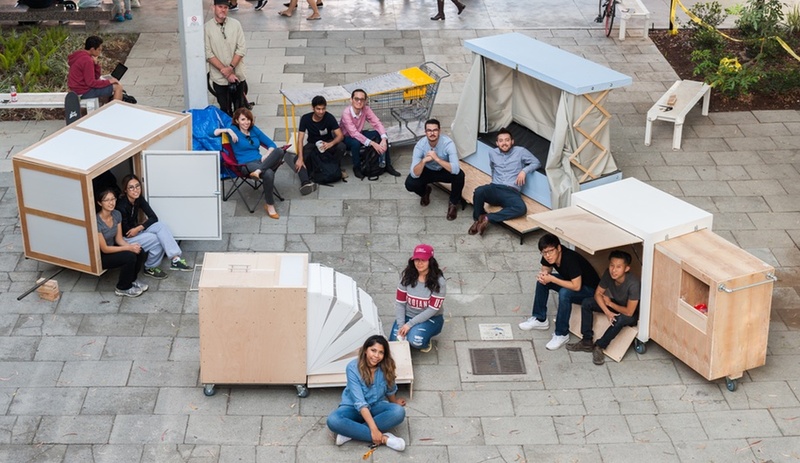 Fortunately, solutions are being dreamed up at the University of Southern California, where a small group of fourth-year architecture students are participating in the school’s first-ever Homeless Studio – a for-credit course that asks students to explore how architects can help address homelessness. The class is immersive and comprehensive. Students participate in hands-on fabrication workshops and undertake real-life case studies. They meet with activists, support agencies, architects and city staff, as well as with local residents who have experienced or are currently experiencing homelessness, to develop a well-rounded understanding of the problem, and what factors potential solutions need to address in order to be effective. 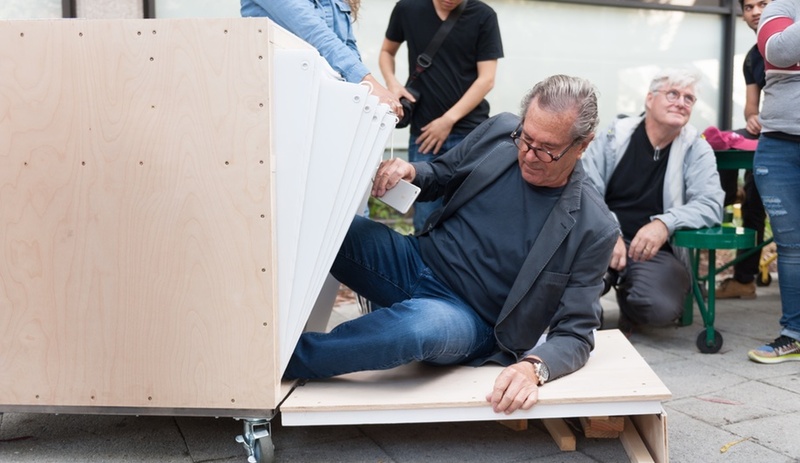 Homeless Studio’s holistic approach to the issue of homelessness has informed the design of the tiny, modular and portable to-scale prototypes that the students have constructed thus far (see the gallery at the top of this post). Each design aims to address the need for security, privacy, shelter from the elements and easy portability. The ultimate goal is for students to find deserving occupants for their built concepts once the studio has ended. Those prototypes represent coursework; the culminating project for the Homeless Studio class is a set of concepts, renderings and prototypes for a modular 30-bed women’s shelter for the Hope of the Valley Rescue Mission in nearby San Fernando Valley. These deliverables will inform the final design plans, and will bolster the efforts of the Mission as it raises funds for construction.